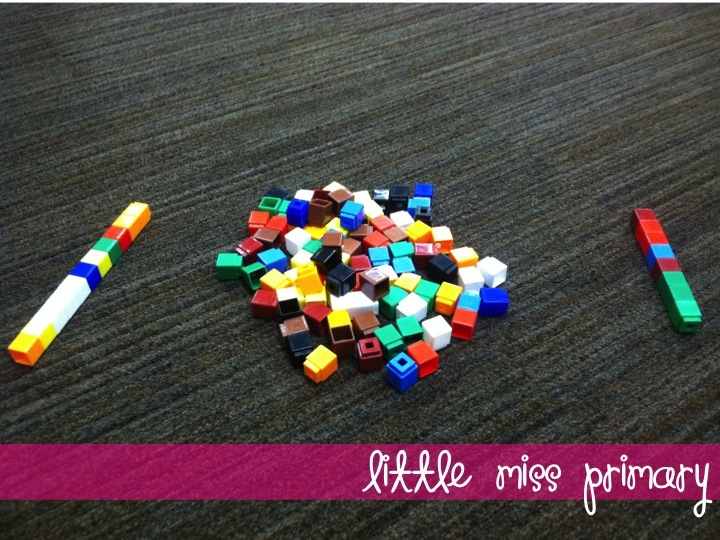 Unifix cubes are so much fun. 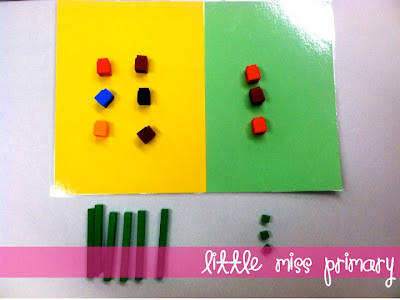 I love to use them in the classroom because they are both multi-purposeful and super simple to pull out. Today, I want to show you just a few of my favorite ways to use them! 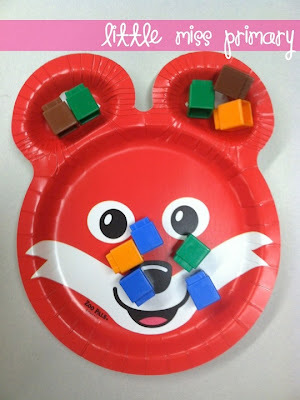 You can use them as building blocks, to make name patterns, to make units of ten and ones, measurement, fractions, graphing, addition/subtraction operations, and so much more. You can grab these fun plates at the grocery store! Look how Lacey uses them! 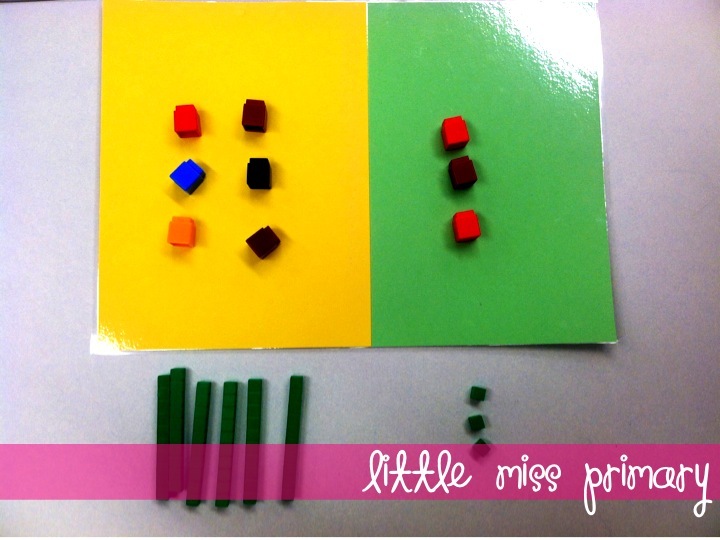 You can also illustrate subtraction problems, multiplication+division problems, and story problems! I created the place value mat by laminating two pieces of construction paper together. 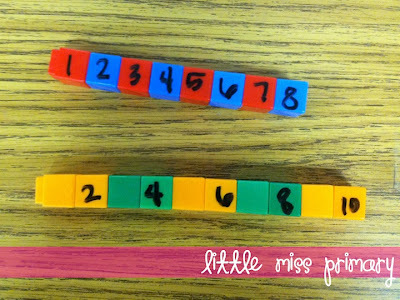 With the Common Core and the TEKS, there is more of a focus on patterns in number. You can still use your good ol' unifix cubes, though! 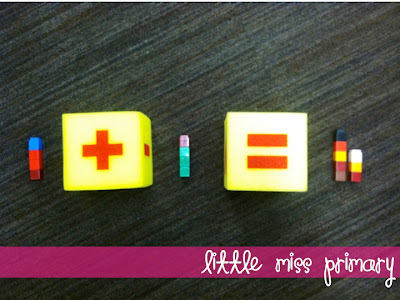 Use dry erase marker to write on the cubes--wipes right off. With a pile of unifix cubes in between them, two students race to see who can connect the most unifix cubes. They are timed (30 seconds-ish) and can only pick up one cube at a time. If you want to make it less of a competition, have the students try to beat their previous number! 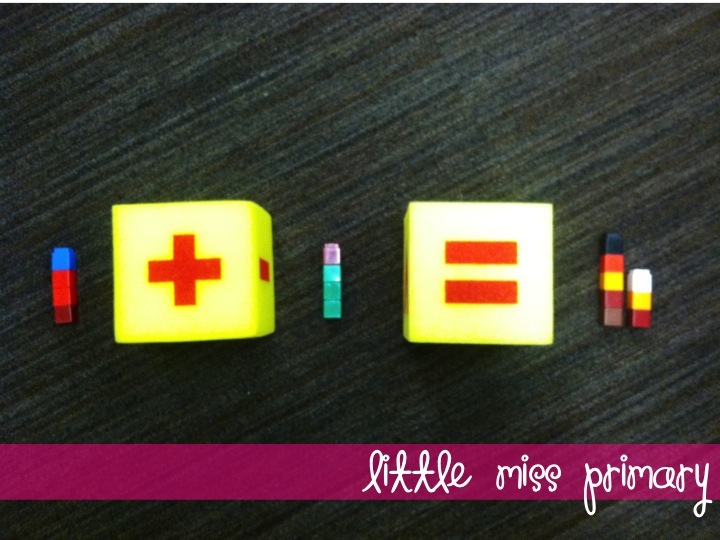 How do you use unifix cubes in your classroom? I also want to take some time to honor the men and women serving our country. We are so blessed by their sacrifice and willingness to serve!